Jaguars - Jackson Wild: Nature. Media. Impact. 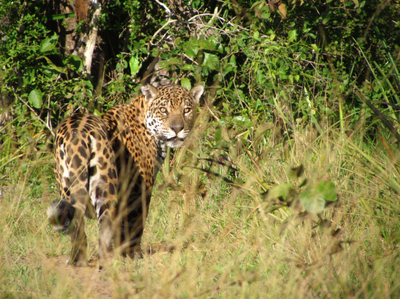 Jaguars are South America's supreme predator, but they are also one of the most elusive animals on the planet. This film follows a pioneering team in Brazil as they track and follow individual wild jaguars to gain amazing new insights into their lives. With jaguars increasingly under threat, every cat counts. So when two young jaguar cubs are tragically orphaned, the team needs to use all their newfound knowledge to help the cubs return to the wild.